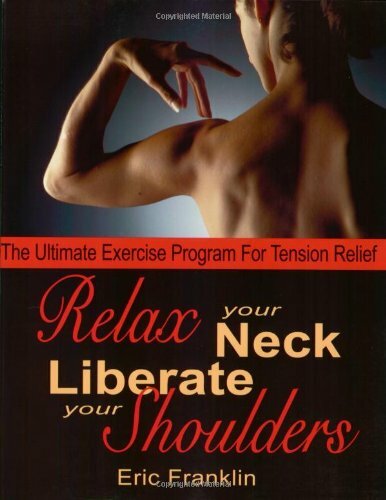 A foolproof guide to releasing shoulder and neck tension, this book shows how imagery and touch can be used to eliminate stiffness and pain. It provides simple and effective exercises that can be done at home, at work, or on the road. Sufferers of upper body pain will learn how to detect and eradicate early signs of tension by better understanding the connection between emotional states and tension. These individuals will learn how to survive stressful situations calmly and without tensing a single muscle. An explanation of the anatomy of the shoulders provides a better understanding of how improving the alignment of the head, neck, and shoulders will ease the strain on muscles and joints and promote an aura of confidence and health. Eric Franklin is the founder and director of the Institute for Movement Imagery Education in Lucerne, Switzerland. He is the author of Breakdance, Dynamic Alignment Through Imagery, and Dance Imagery for Technique and Performance.